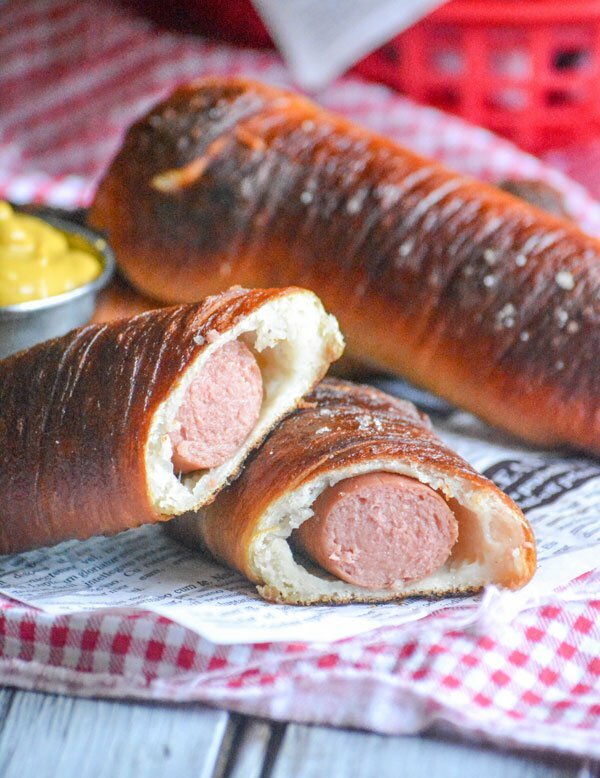 These Quick & Easy Homemade Pretzel Dogs are simply delish. Your favorite hot dogs are bundled up in buttery salted pretzel buns, making them a portable, dippable fun finger food perfect for game day appetizers, lunches, and even a hearty snack. I love seeing the look on the littlest son’s face when I make him ‘fun’ food. Holidays provide the ultimate opportunity to surprise him. 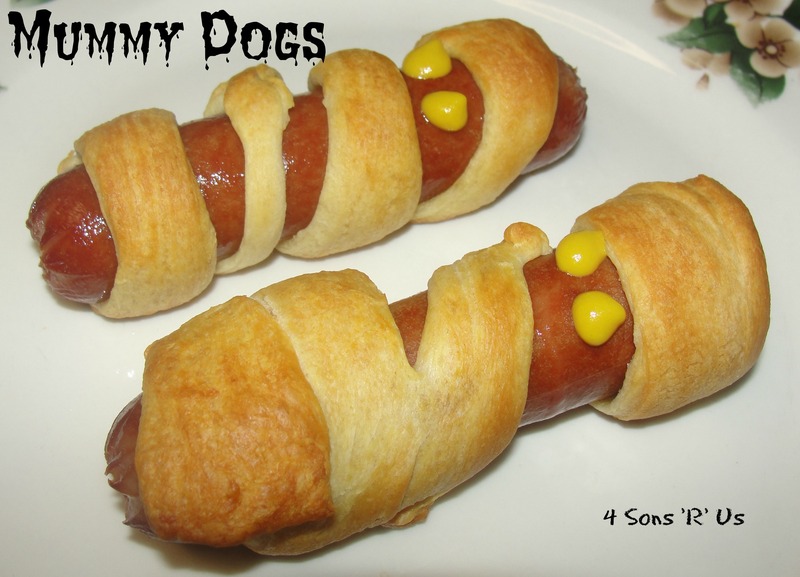 Still, sometimes I just don’t have the time, or the energy, but these Mummy dogs are so simple and quick. From start to finish it took less than 20 minutes. Add some fun to your Halloween lunch or dinner with this adorable idea. If using Pillsbury crescent roll dough, unroll the dough sheet. Press together at the perforations to seal it into one large rectangle. Cut the rectangle into ten ‘bandages’. Stretch the bandages a bit to elongate them. Wrap one bandage around one hot dog and 1 quarter of cheese. Repeat for each hot dog. About 1/2 inch from one end of each hot dog, separate the ‘bandages’ so that the hot dog shows through for it’s ‘face.’ On an ungreased baking sheet, place wrapped hot dogs (cheese side down). Spray the dough lightly with cooking spray. Bake at 375 for 13 to 17 minutes or until the dough is light golden brown and the hot dogs are hot. 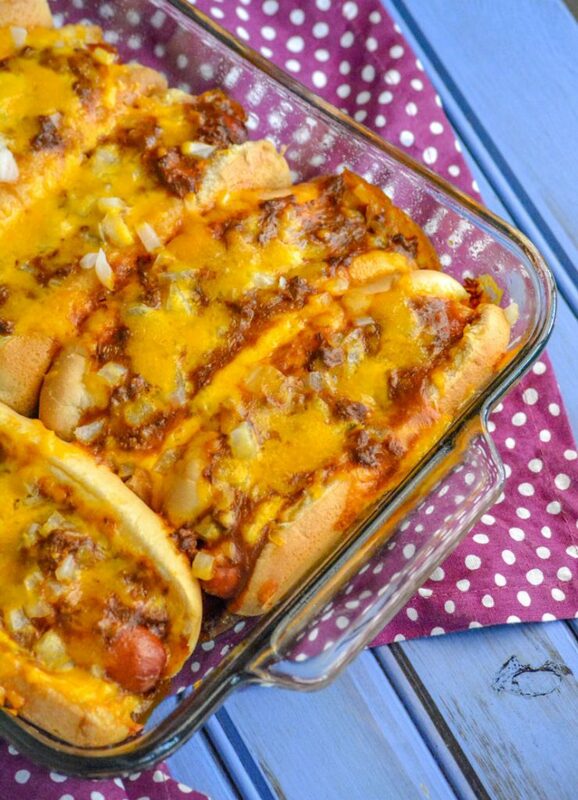 For the best chili cheese dogs around, all you need is this easy Oven Baked Hot Dogs recipe. Loaded with chili, chopped onion, and melted cheddar, they’re crispy on the outside but soft and savory dogs tucked into fluffy buns. Lunch, dinner, pot lucks, even on Game Day- these are perfect for almost any occasion.